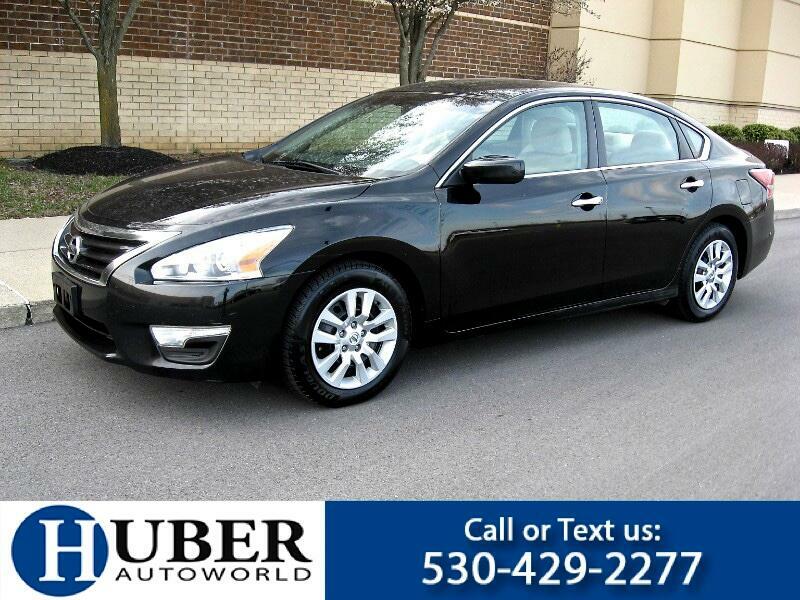 2014 Nissan Altima 2.5S -- Super Black exterior with Beige interior, 2.4L I4 rated @38mpg, Automatic, Premium AM/FM//CD/AUX sound system, Side Seat Airbags, Side Curtain Airbags front and rear, ABS brakes, power windows, mirrors, and locks, Smart Keyless entry! AutoCheck Certified! Qualifies for 1 Year Buyback Protection! Just serviced and inspected! 4 year / 50,000 mile extended warranty available. Compare our vehicle quality, miles, and price. Specializing in quality 1 owner lease turn ins. Call or text 530-429-2277, Check online @ huberautoworld.com or visit Huber Autoworld 3088 Lexington Road, Nicholasville KY.